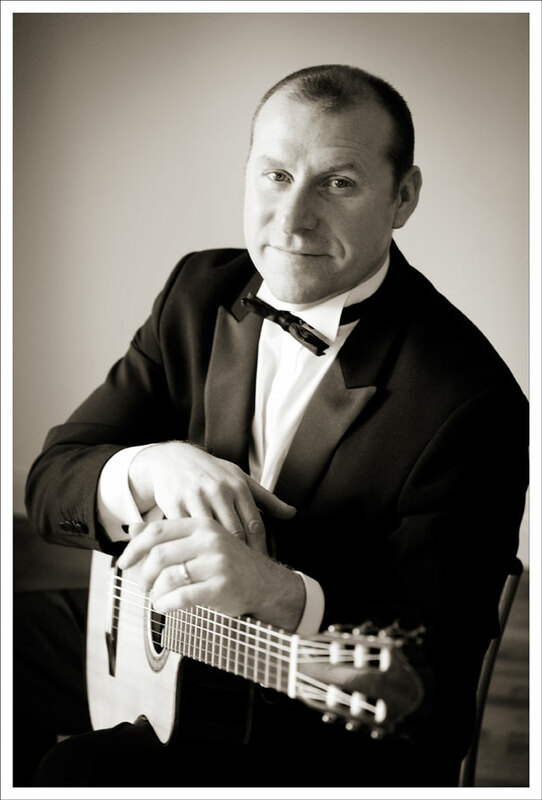 Steve Bean is a professional classical guitarist based near Stamford, bordering Lincolnshire and Cambridgeshire. Steve has over 25 years playing experience and specializes in performing at weddings and events, and one-to-one tutoring. His career has seen him play at the very highest level, including a performance to now ex-Prime Minister, Sir John Major. He has also played alongside Gabriela Quintero of the world renowned Rodrigo Y Gabriela. Steve’s playing style is predominantly Classical with a Flamenco influence, and he continues to learn and develop all aspects of his craft, incorporating Classical with Traditional Spanish and Mexican styles. His repertoire is varied and encompasses compositions by artists as wide-ranging as Vivaldi and John Williams to more popular pieces by The Beatles, Queen and Lady Gaga. As well as performing as a soloist, Steve plays in various groups and ensembles and is always interested in working on new musical projects. His work with other artistes over the years has allowed him to absorb many genres into his unique performances, including Jazz, Folk, Country and Soul.